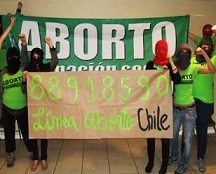 Abortion is illegal or prohibitively restricted in most of Latin America. 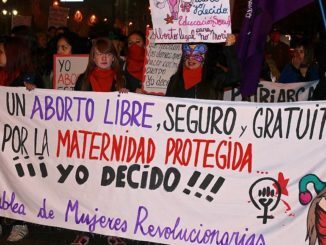 While even pro-woman governments and politicians in Latin America struggle against strong opposition to legalizing abortion, women and activists across the continent are safely taking access to chemical abortion out of the clinic and into their own hands. Rarely, do we activists get the opportunity to take out our rainbow flags and banners, not to stage a demonstration, but to celebrate. 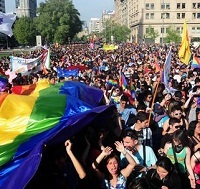 On January 28, Chilean activists had that rare opportunity: after four years of intense work by LGBT organizations, a civil union law was passed by Congress. 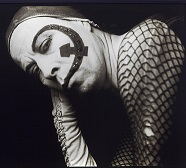 By the time of his death on January 23, 2015, Chilean writer, performance artist, radio personality and activist Pedro Lemebel (1952-2015) had become an icon of Chilean counter-culture. His art chronicled the history of the city of Santiago as experienced by members of the Chilean Left during the dictatorship and afterward, poor city residents, gay men, HIV positive people, and transvestites, among others. In 2013, he was awarded the José Donoso Ibero-american Literature Prize. These “urban neo-chronicles” about the human costs of the Pinochet Dictatorship are from his 1998 collection, Of Pearls and Scars [De perlas y cicatrices]. Like so many other peripheral populations, La Legua, a Santiago neighborhood, is subjected to military-police intervention under the pretext of drug trafficking. 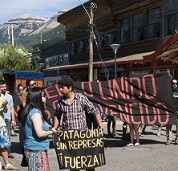 However, in the midst of poverty and repression, they resist by creating life and community with women and youth as the leading actors. 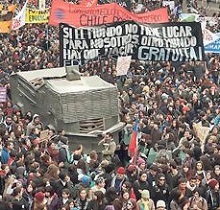 Michelle Bachelet’s return to the presidency, and her promise for structural changes to Chile’s educational and political system, is the result of a decades-long struggle to move out of the shadow of the Augusto Pinochet dictatorship, and is one of the fruits of the more recent student movement for a better society. 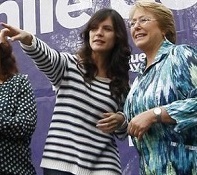 Sept. 11, 1973 marked the start in Chile of a dictatorship that was synonymous with cruelty. 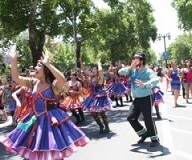 But above and beyond the human rights violations, the reforms ushered in by the regime of General Augusto Pinochet continue to mark today’s Chile – a country of dynamic economic growth but a fragmented society. Two of these reforms, in the spheres of politics and education, are among the targets of the massive student movement and sectors of the left, which are seeking to dismantle them and consider them key campaign issues for the November general elections.